Firstly, I just really hate insta-love. Like I can’t STAND it. It doesn’t make much sense to me. I believe in interest at first sight, because I do think that you can be compelled to like something or someone at a glance, but to just fall in love at the drop of a hat? Like, no. Anna and Jude barely have a conversation before she decides that there’s something special about him. If they had had a longer and more meaningful conversation, I would be more inclined to believe they had chemistry, but sorry, I really couldn’t here. Further into the story however, as their relationship developed, it was the writing to allowed me to believe in that there was something more between Anna and Jude. Somehow, out of a relationship that was based off of nothing, the author was able to create a deep and intense love that actually made sense! They say love is found in the darkest of moments when you’re lost and alone and in desperate search of answers. But that night, we found love in merriment and joy. I really enjoyed the romance between the two, despite the insta-love, and despite his actual stalkerish behaviour. Sometimes, I would blend in with the crowd of people in the emergency room just to be able to watch her at work. There were times when she was close enough for me to touch her. I would inhale the air she walked in. I would listen in on her conversations. I craved to be a part of her life. And then there’s Dante, the other guy. So some of this is my fault, but I really thought you’d forget about him. Look at all the women I’d been with— I thought he would be the same for you. What a selfish thing to assume! Anna, you really know how to pick them. But, nonetheless, I do think she developed meaningful relationships with both men, sending the message that there are different kinds of love you have for different people. How the author chose to end the story though … it felt like she just threw that in there to tie up loose ends. Instead of allowing Anna to make a decision based on what she has learned throughout the story, it was like she was forced to accept and settle for the only option. I wish there was more confrontation between Anna and herself, because that would’ve helped with character development, which is another area I found lacking. The very last few pages were cute though, and gave me a somewhat satisfying conclusion. 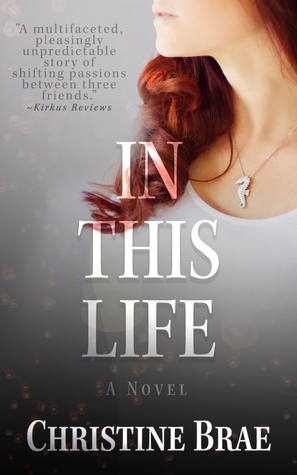 Overall, In this Life is an emotional novel that deals with some important messages. The writing is nice and the plot will keep you reading. I’d recommend it if you enjoy drama-filled love stories. Disclaimer: I received a free digital copy of this book in return for an honest review.